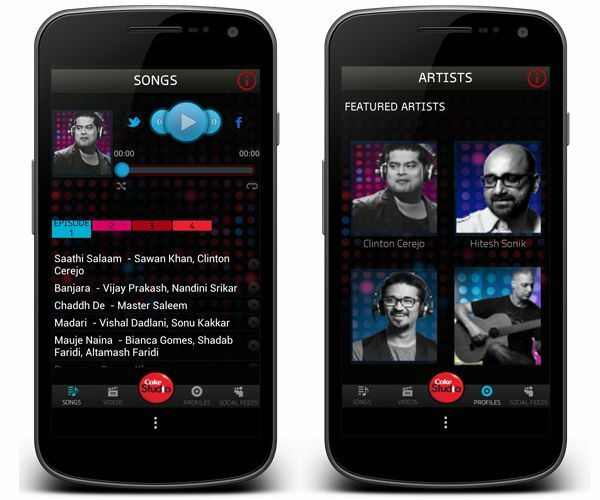 Sony Music launches Coke Studio App for Android for music enthusiasts. The app will feature all the episodes of the Coke Studio season 2, audio, artist profiles, videos and Twitter Feeds. From the ‘songs’ tab users can listen all the episodes of the Coke Studio season 2 but before you do that you need to download the music which takes some time. The next is ‘Videos’ tab which features all the videos of coke studio season 2. You can read more about the Coke studio Artists from the ‘Profile’ page. The app brings rich and diverse music styles of India, you can listen independent, classical, folk, Sufi and popular genre music from biggest musicians of India. Currently the app features only 4 episodes and promises to bring the rest of the episodes soon. You can also share the music you’re listening to Facebook and Twitter friends with one click. The app is unbaked and it crashed my phone while downloading music and many of you surely hate the ads. The app is available freely on Play store and it requires Android 2.2 or greater. You can download the app from below widget.